Welcome to Chatham Square Garden Apartment! Enter into the eclectic living room. Antique furnishings bring out this home's character. The Queen sleeper sofa accommodates two additional Lucky guests. View of the living room open to the dining area. A flat screen TV is found just left of the decorative fireplace. Architectural beams separate the two spaces. The dining table comfortably seats four. View of the dining table looking towards the living area. The fireplaces - now decorative - are original to the home. Welcome to your cozy abode. The full kitchen has an electric stovetop and full size appliances. View of the galley style kitchen. A washer and dryer can be found opposite the kitchen. The master bedroom. Enjoy luxurious, hotel-grade linens on the King size bed. The bedroom is towards the rear of the apartment. Unpack your suitcase and stay a while. The full bath is just off the bedroom. The bedroom door leads to the shared courtyard and private parking. Ample natural daylight in this sunny apartment. View of the en suite bath. 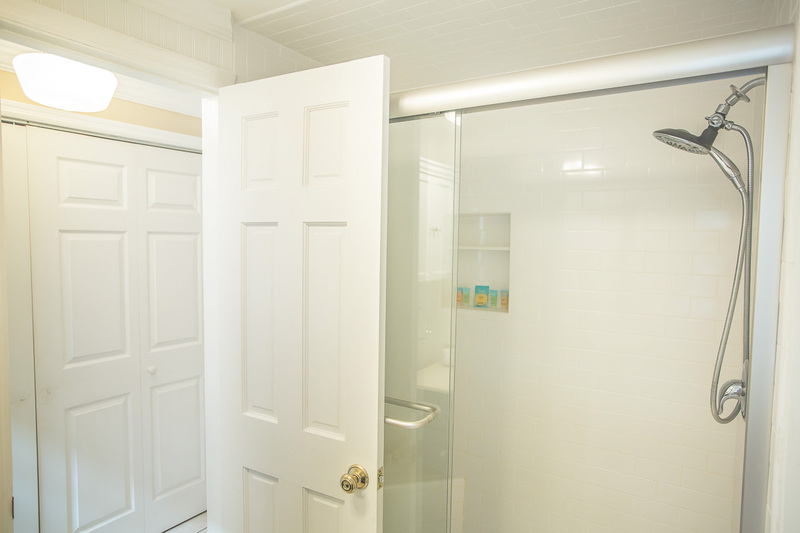 The bathroom has a standing shower. This apartment is on the street level. - You’ll enjoy the convenience of your own off-street parking spot at this West Gordon Street gem. - A very large, exquisitely maintained, shared courtyard is a delightful spot to sip your morning coffee or evening cocktail. 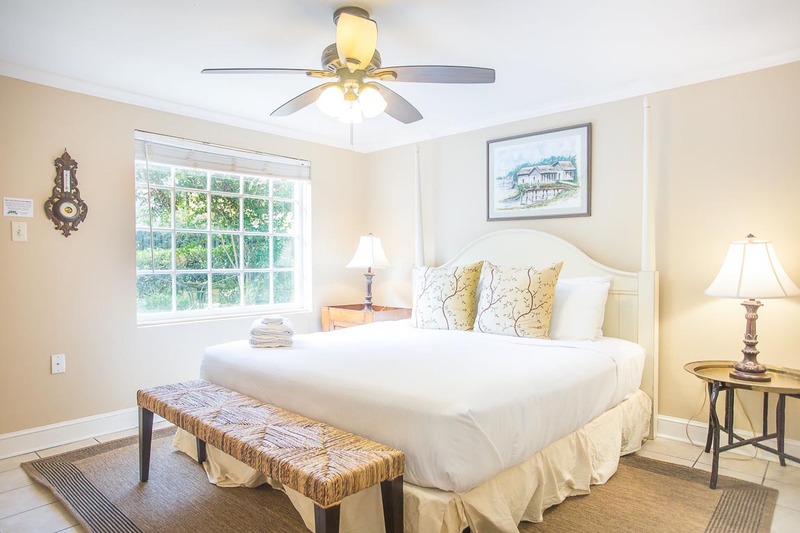 This one-bedroom, one-bath garden level apartment has been transformed into an intimate and relaxing escape, perfect for a romantic weekend away. Tastefully decorated with the owner’s collections and antiques, the home exudes a casual Southern charm. 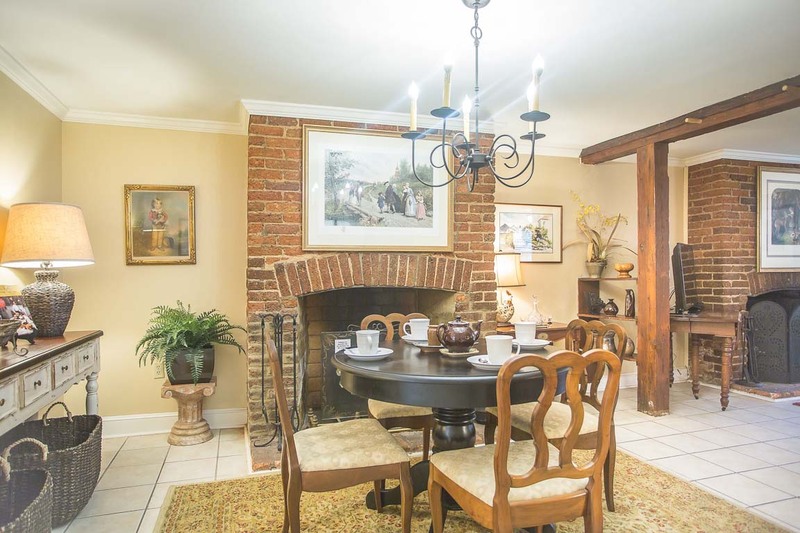 The open living space features two original decorative brick fireplaces, exposed wooden beams, and has plenty of comfortable seating. The kitchen is fully stocked with everything you need for a night in, and a full size washer and dryer are tucked away in nearby closet space. The bedroom has a king size bed, plenty of closet space to unpack, and an ensuite bath. Spend your mornings enjoying coffee in the large, exquisitely maintained, shared courtyard accessed via the bedroom. When you’re ready to venture out, you’ll be within walking distance to the best shopping, dining and nightlife Savannah has to offer. Mix with locals and find fresh ingredients for dinner at the Farmer’s Market on Saturdays in Forsyth Park, just two minutes away. Take a stroll to the cross streets of Bull and Liberty for some boutique shopping at The Book Lady Bookstore, Satchel, and Red Clover. I COULD NOT GIVE ALL 5"S BECAUSE THE APARTMENT NEEDED A DEEP CLEANING ESPECIALLY THE FLOORS AND THE BATHROOM. IT WAS LOCATED IN A WONDERFUL AREA WITH EASY ACCESS TO MANY OF THE SITES, HOMES AND SHOPS THAT WE WANTED TO VISIT. THE HOME WAS NICELY DECORATED AND HAD ALL THE COMFORTS OF HOME. THE BED WAS VERY COMFY. ALL IN ALL WE HAD A GREAT STAY. Easy to book, easy to find, great location for what we needed. You can hear the upstairs walking around and the bedroom doesn't have a tv- but neither of those were too much of an issue. Entry into to back gate was challenging - not getting in but getting it to lock when we were going out. The front door never opened for us. We had been sent front door codes three times, each time different. None worked. That was frustrating. The only code door without problems was the back door. The apt. was comfortable, the appliances excellent and the location terrific! Very nice quiet place very clean. However there were no kitchen towels. Anthony, thank you for choosing Lucky Savannah! We're so glad you enjoyed your rental. Please know that we also provide a 24/7 Guest Line that is always delighted to make sure you have everything you need. We hope to see you soon! I enjoyed my time and the apartment was very spacious with a lovely back garden. The parking was very convenient. The stay was great. Very clean with all necessities and a good location as well. Everyone nice and helpful. We had only one time that we called for assistance. The representative was able to assist right away. No problems, would definitely stay there again. This is a wonderful apartment for two people, especially if they don't want to cook. As we prepared two dinners "at home" the kitchen and especially the stove were not as well-equipped as other Lucky Savannah rentals we've had. The back garden is wonderful, unfortunately it was too hot and humid to use in late July. Had we visited in March as usual, the grill would have been a major asset. For those of you arriving in summer, rest assured the air conditioning is in fine working order. The ease of arriving, departing and coming and going was up to Lucky Savannah's high standards. Keep up the good work. We'll be back. Our first time visiting Savannah, and our chosen place to be married. This apartment is perfectly situated in Chatham Square, which was where we would be married. The apartment was easy to find, and keyless entry made our late night check a breeze. Parking was a huge bonus. If you're hoping to find cleanliness where you could eat your sushi off the floor, this isn't the place for you. However, it's certainly clean enough for a few nights stay, and appeared to be bug free, despite being just below ground level. Bright, and safe. Kitchen has everything you would need. Plenty of linens as well. Our only complaint, if there was one; the AC was basically broken. Blew only warm air. Lucky Savannah did bring out a portable AC unit, which kept us kinda comfortable, however never really cool. Ceiling fan and over head light in master also did not function. Overall, we understand that things happen, and the place served its purpose. Would we stay here again? Maybe. But if we passed the place over, it would be due to location. We preferred to be closer to the nightlife action and found the walk, in the summer humidity, to be miserable. Some areas on Broughton/Bay/River streets, were a mile or better in one direction. In cooler seasons, this would not have been an issue. We would recommend this property to a friend. And we would definitely use Lucky Savannah again. The Chatham Garden Apt. is a very comfortable place. The antique decor is a nice touch. I fell in love with the garden area out back. It is a wonderful place to sit with a cup of coffee in the mornings or a good book. I gave a 4 star for cleanliness, because the bathroom could use a good deep clean (around toilet, shower, and floor). The apt. location is perfect. We could get up and walk to anything we wanted to see. I would definitely recommend this place and the Lucky Savannah Company. I will use them again when we travel back to Savannah Ga.
We were very pleased with our home away from home. Having been diverted from Charleston due to the hurricane, we were pleased to be so centrally located to so many places to walk including Forsythe Park. we rented the Chatham Square 1 bedroom unit. Location was great, the apartment itself was a bit dark but with all the lights on was cozy. When we arrived it was stuffy and smelled stale, so i did need to light a candle to help with the molldy smell. The unit was well equipped and had everything we needed, comfortable bed. The parking spot was very helpful. We arrived early for our rental home, but after a simple phone call I got access right away. It was clean large and beautiful. We loved the location. Beautiful view. Thanks again for staying with us, Julio! Glad we could accommodate an early check in for you. The location and interior decorating of our apartment was absolutely perfect.. Period Furniture made me believe I was in the 1800s. Inside and out I felt like I was living a dream. We were close enough to everything in walking distance yet far away enough to enjoy the quiet of Savannah. I was thoroughly impressed that you thought of even the smallest details, like umbrellas and picnic baskets. A great place to celebrate my 50th birthday! Happy 50th, Lisa! Thank you again for choosing Lucky Savannah. We look forward to hosting you for your 51st! Had an absolutely amazing stay in Savannah for our 20th anniversary at the Chatham Square garden apartment.... it had everything we needed and then some! Very cozy & comfortable... the king bed was so comfortable!!! We would definitely recommend staying here. It's in a very quite area but still in walking distance of everything. Thanks again, Janet! See you soon. Was a great location. Will go back. Thanks again, Keith! We look forward to having you again soon. We really loved staying here with the exception of the noisy upstairs neighbors. I think the wood floors and the age of the building (historic) exacerbated the loud talking and child (sounded like an elephant running) which made getting to sleep difficult. Once the upstairs neighbors left, it was great, comfy and quiet. It didn't feel like a garden level apartment because of the all the light that comes in. The courtyard is charming. We liked having a designated parking space and sometimes found free parking in front of the building. The location is great, it was walking distant to many things including a nice grocery (Krogers- a walk through Forsyth Park away), shopping, dining, and playground. It was also easy to drive to Tybee Island for the day and even the airport. We'll definitely stay at another Lucky Savannah place, just not a garden level apartment. We can't wait to come back to Savannah. Hi CarrieAnn! Thank you again for staying with Lucky Savannah Vacation Rentals. We're so glad to hear that you enjoyed your time at Chatham Square and that you're understanding of historic buildings. This apartment does get excellent light! 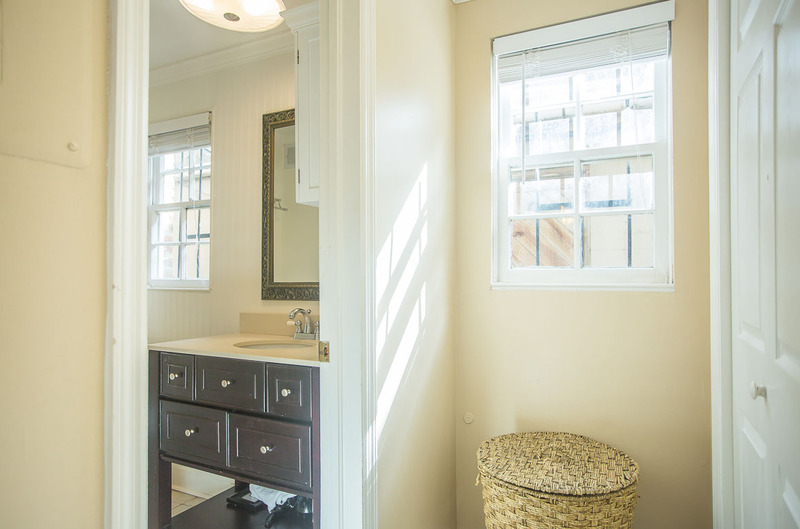 We'd be more than lucky to host you in a standalone or top-level home next time you're in town. My husband and I stayed at the Chatham Square Garden Apartment for his 60th birthday, and it was a wonderful experience. Clean, easy to find, the place was exactly like the photos and had a private parking spot. Easy to walk to most of the adventures we went on, we would stay there again. Thanks again for booking with Lucky Savannah Vacation Rentals, Stacy! We're so happy to hear that you enjoyed your time at Chatham Square. We look forward to hosting you again next year! Needed to get away after visiting family for Christmas. Perfect place to detox and relax! Patricia, thank you for choosing Lucky Savannah! We're so thankful to have been a bit of respite after a busy holiday season. We look forward to hosting you again soon! Eclectic assortment of furniture that I found very interesting. Also found the courtyard to be a great space to unwind with a book. Very clean space with good basic amenities. Having a private parking space in back is a great bonus! Thank you for choosing to stay with Lucky Savannah! We're thrilled to hear this was the best trip you've had. We're glad we were able to share this great home with you all! We hope to have you as our guests again. We immensely enjoyed the flat on Chatham Square, and felt right at home. It was a perfect location for taking in the sights of beautiful Savannah, and we found ourselves spending most nights at our home away from home. We enjoyed grilling dinner out in the courtyard, and spent as much time there as the weather would allow. The flat was conveniently equipped with anything one could want, and we found the washer and dryer a bonus. The shower was incredible. The exquisite, comfortable furnishings and solitude there made it such a pleasure to return to relax after full days of exploring lovely Savannah. We wouldn't hesitate to stay here again. Lucky Savannah was so helpful and professional. Thank you for a most memorable vacation! Thank you for choosing to stay with Lucky Savannah! We are thrilled to hear you all enjoyed the Chatham Square Garden Apartment. This home is located in a fantastic location, with a gorgeous view, walking distance to many restaurants and so much more. We cannot wait to host you all again! Please do not forget about our 10% "Returning Guest" discount. Really fantastic. We had a great time. Thanks for having us. We spent four days in the beautiful city of Savannah. The rental we chose was very conveniently located in the historic district. We enjoyed walking through the beautiful squares in the district. We were within easy walking distance to many attractions. There are gorgeous old homes and interesting historical buildings surrounding the rental. Great restaurants serving southern cuisine are also available. Thank you for choosing to stay with Lucky Savannah! We are so glad you enjoyed the location of your home, and the historic district! Savannah is a great place to visit. We hope to have you all as our guests again! Don't forget about our 10% "Returning Guest" discount. We enjoyed our stay at the Chatham Square one-bedroom house. It was very quaint, with lovely furniture and appointments. Not particularly suitable for more than 1 couple, though; only bathroom is in the master bedroom. Good location and would definitely recommend for a couple. Managers were very prompt in answering questions and dealing with problems. Thank you for choosing to stay with Lucky Savannah! We are happy to hear you found the home to be quaint and the furniture to be lovely. We try our hardest to make sure we help you any way we can during you stay here at Lucky Savannah. We hope to have you as our guests again soon! My wife and I had a great time in Savannah. The apartment was perfect. The location was great walking distance to the beautiful Forsythe Park and The Mercer House. It was clean and very cozy for the two of us. We really liked that it included free parking. Thank you for choosing to stay with Lucky Savannah! 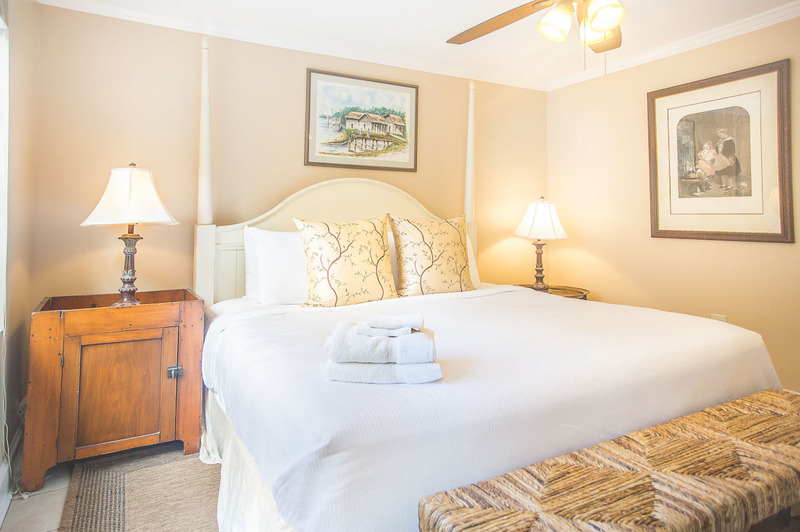 Chatham Square Garden Apartment is a wonderful place for a couples getaway, or even a small family getaway. We are happy you both found the home to be in a great location! Free parking in Savannah is always a bonus. We can't wait to have you all as our guests again! I rented the Chatham Square Manor and the downstairs apartment, for my daughter's wedding. Lots of family and friends coming in from stateside and abroad. Staying here was like being at home only better since we were in the beautiful city of Savannah! Everything we needed was in the home. (Except a clothes iron) The location was perfect, very close to other homes where family was staying, as well as places to eat and visit. I would highly recommend this home and I plan on staying here on my next visit to Savannah. Thank you for choosing to stay with Lucky Savannah! 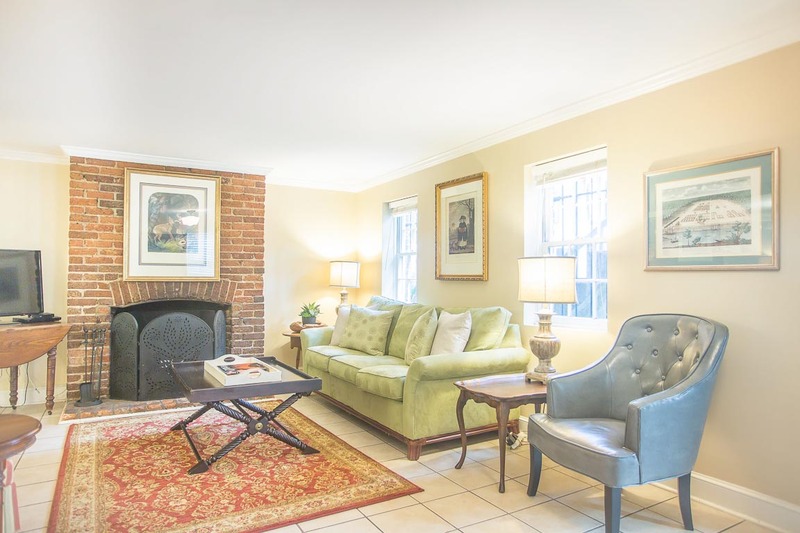 Chatham Square Manor and Garden apartment are great homes, in a beautiful location. We are ecstatic you all chose to stay with us for this special time, and found the property to be just like home. We hope to see you all again in the near future! Overall we were satisfied with our rental as it was a good quiet location but very walkable to restaurants. We were a bit disappointed in the failure to check in right at 4:00 as the cleaning crew was still there and we were delayed about a half-hour; there was also some confusion about unlocking the gates at the back. One suggestion would be to put in some type of black-out shade on the bedroom window as it was very bright all night due to an outside light that was unable to be turned off. Thank you for choosing to stay with Lucky Savannah! We apologize for the delay, as we have a busy housekeeping schedule during the spring time. We try our hardest to ensure a 4pm check-in time! We thank you for the honest review, and will definitely bring your suggestions to the homeowners attention. We do hope to have you all again! I loved this apartment, I loved the location. It had everything that I needed and more. I will definitely stay here again. I felt safe and it was quiet. Thank you for choosing to stay with Lucky Savannah! 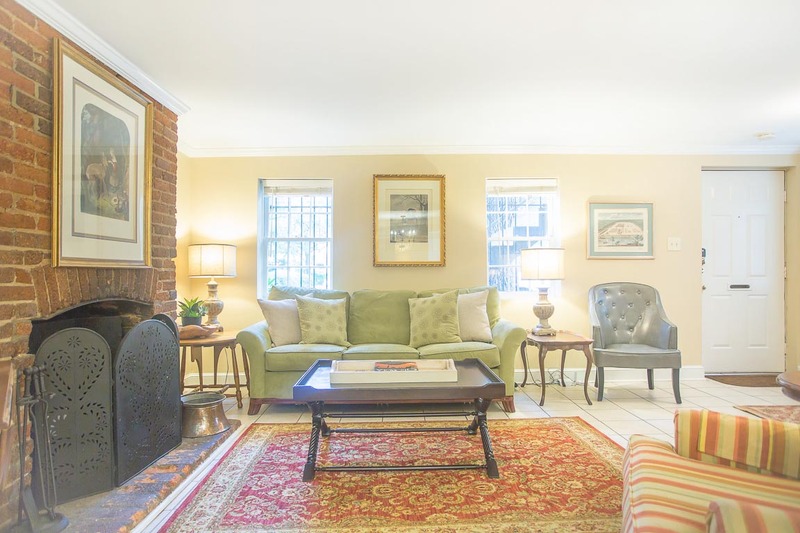 Chatham Square Garden Apartment has plenty to offer, and has a perfect location. We are so glad to hear you all enjoyed your stay! We can't wait to host your next stay here in Savannah. Please don't forget about our 10% "Returning Guest" discount. We stayed at this property in 2016, and returned this winter for a longer stay. We so love this apartment and location, and of course, Savannah, and hope to return again next year. 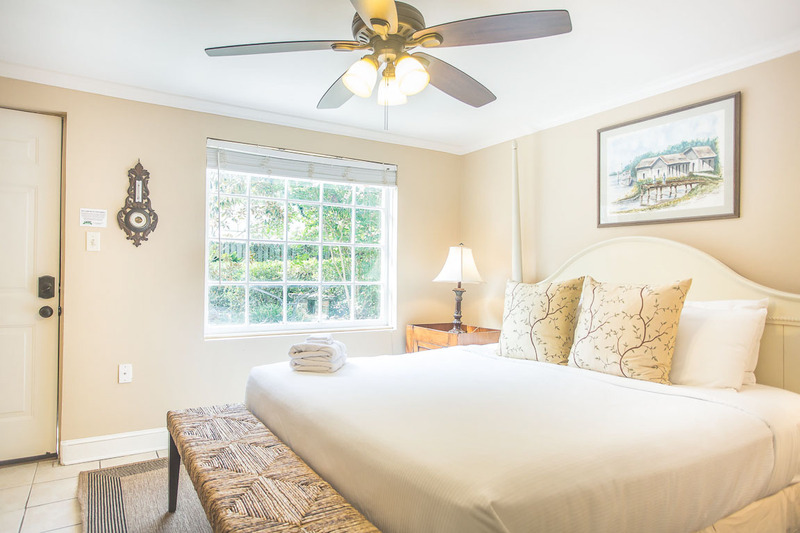 The overall decor, convenience of a full kitchen, washer and dryer, and the lovely courtyard with a gas grill all add up to make a stay here relaxing and memorable, and a true vacation getaway. Thank you! Hi Christine! Thank you for staying at our Chatham Square Garden Apartment. We're so happy to hear that you've found a new return home in Savannah, and look forward to hosting you again soon! This was our second visit to the Apartment. Very nice apartment, well stocked and perfect location. Thank you for choosing to stay with Lucky Savannah! We are so glad you all had another great stay with us. 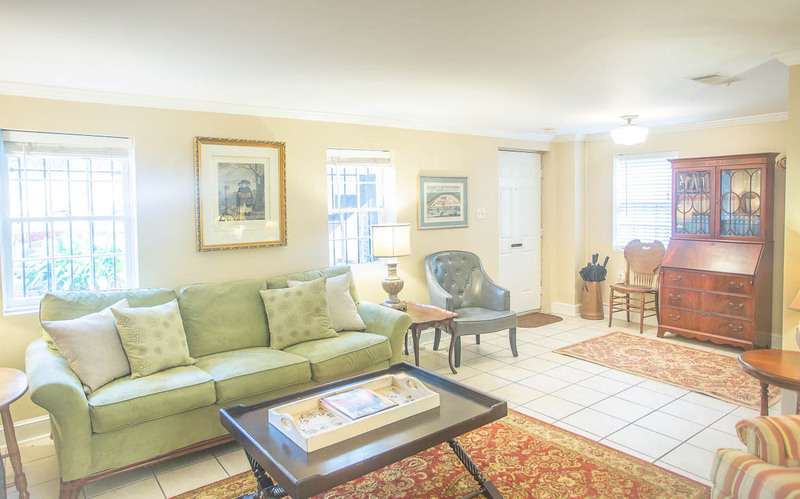 Chatham Square Garden Apartment is a great place to relax, and enjoy Savannah. This lovely apartment has plenty to offer, including its beautiful location. We can't wait to see you all again! Very easy rental - great location for walking and/or bike riding in the historic district. Clean, spacious, and nicely appointed apartment. Savannah was beautiful and this unit was in the perfect location. I was concerned that it would be too far but it wasn't. I loved the home like feel and the area out back was a nice feature. We had such a great time in Savannah! 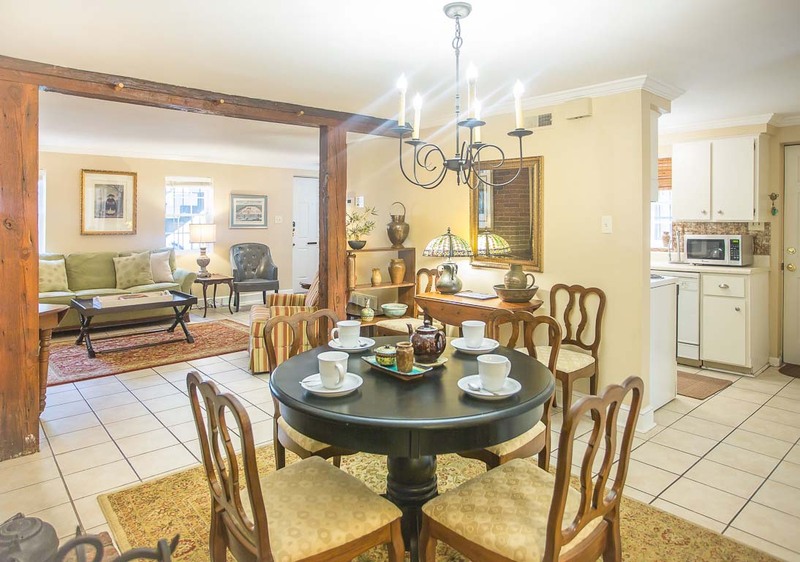 Our Lucky Savannah rental was clean, quiet and had all of the amenities we could have needed. I especially liked having a private parking spot. I would absolutely stay here again. It was a very cozy/comfortable rental home. Sweet, cozy & beautiful place! 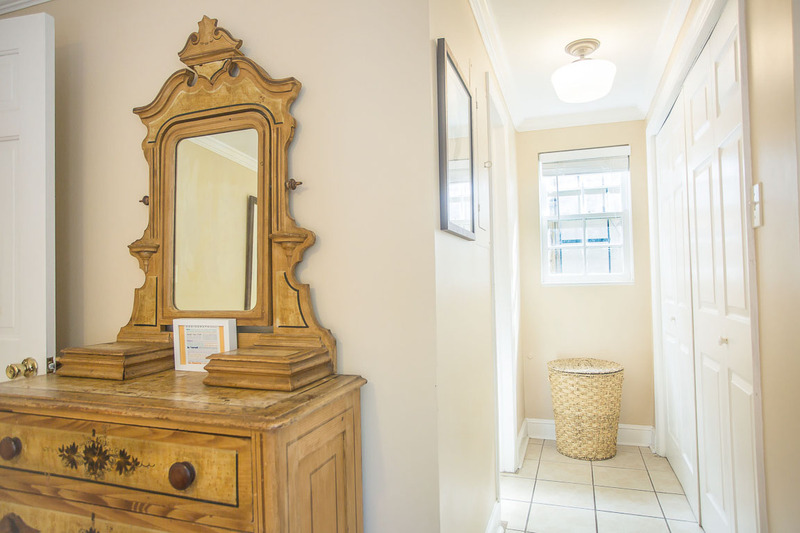 The Chatham Square Garden apartment was the perfect place to stay in Savannah! The location was perfect, it was decorated beautifully with many extra ammenities. After a busy day of sightseeing or walking around town, it was such a peaceful place to come home to! chatham square garden apartment was very well furnished and decorated. THE unit met all the needs of my wife and myself, it was within walking distance of all of the sites to see in the downtown and historical districts. Hi Mike! Thank you so much again for choosing to stay with us. We're so glad to hear you enjoyed Chatham Square Garden Apartment and look forward to hosting you again soon! We really enjoyed the apartment. It was close to everything downtown (we were able to walk everywhere). We were four sisters on vacation together and it was lovely. The one thing I wish they'd clarify is the address. There are two apartments with the address we were given--and we tried to get in the wrong one! The poor neighbors were shocked that we were trying to enter their home. (Just in case this is public, the correct one is the downstairs apartment). Great location with easy access to all that Savannah offers. Thank you so much again for choosing to stay with us. We're so glad to hear you enjoyed Chatham Square Garden Apartment and our beautiful city. Please know that you're privy to our Friends and Family discount next time you stay with us. Looking forward to hosting you again soon! Chatham Square Garden Apartment was perfect for Girls' Weekend. The apartment was spacious, quiet and a great location to walk and enjoy the surrounding area. Nice to stay in local house instead of a hotel. Would stay there again. Hi Lauren! Thank you so much again for choosing to stay with us. We're so glad to hear you enjoyed Chatham Square Garden Apartment and our beautiful city. Please know that you're privy to our Friends and Family discount next time you stay with us. Looking forward to hosting you again soon! Chatham Square is delightful. It is clean and well appointed. The location is wonderful...close to everything, but far enough away to avoid the noise and crowds. Lucky Savannah vacations were great to deal with. Looking forward to staying here again. Hi Timothy! Thank you so much again for choosing to stay with us. We're so glad to hear you enjoyed Chatham Square Garden Apartment and that our staff was great to deal with. Please know you're privy to our Friends and Family discount next time you stay with us, and we look forward to hosting you again soon. Hi William! Thank you so much for choosing to stay at our Chatham Square Garden Apartment. We're so happy the home accommodated your extended stay, and look forward to hosting you again soon! Certain sacrifices have to be made to stay in an historic location -- small bathroom and kitchen and older appliances in kitchen. However, much to be gained by location. Walked to Forsyth Park, City Market and River St. Off-street parking is a bonus. Hey Billy! Thank you for appreciating our Chatham Square Garden Apartment. We look forward to hosting you again soon! Have a lovely stay at ChathamSquare Garden. Rental was across from a park, central to walk everywhere, and very spacious. The king bed was incredibly comfortable, with a convenient washroom. The decor was lovely and traditional Georgian. 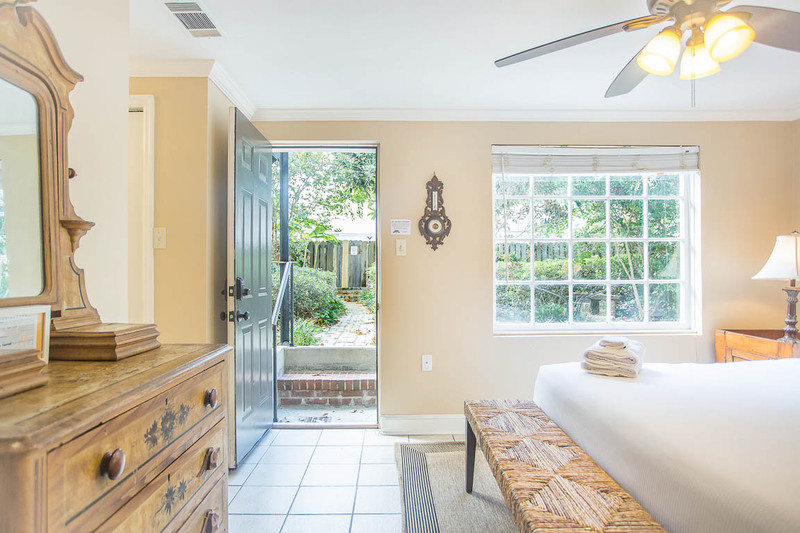 Clean, well appointed, fantastic courtyard off the bedroom. We BBQ'd and enjoyed the lawn furniture. Highly recommend. Hi Kate! Thank you for choosing to stay at our Chatham Square Garden Apartment. We love the spacious courtyard and are glad to hear that you spent time there during your stay. We look forward to hosting you again soon! Spent three nights in Savannah and had wonderful time. Strolling the streets of the historic district was wonderful. The restaurants we dined at were tremendous! We were disappointed that two of the units three smoke detectors were inoperative (dead batteries) and the fire extinguisher had not been inspected in 3-4 years. Hi Kathe! Thank you so much for choosing to stay at Chatham Square Garden Apartment! We've made note of your suggestions and appreciate the constructive feedback. Loved Savannah. Great city. Location of property. Just far enough from downtown for some peace and quiet after exploring the city. The property was well equipped. Had everything we needed. Appreciated the full size appliance in kitchen and iron and ironing board. Could have been cleaner. The floor needed a good washing but all I all I would recommend you give this apartment a try. Hi Ruthie! Thanks so much for staying at Chatham Square Garden Apartment. We're so happy to hear that you enjoyed the location and amenities. See you again soon! We had a wonderful time in Savannah and loved the location of this home in the historic district. We loved the sunlight in the back of the house and spent quite a bit of time in the very private courtyard, which we loved! This home had everything we needed, and we were very happy with our choice! Thank you for staying with us, Mary Anne! We're so glad to hear you make good use of that beautiful courtyard. See you again soon! The place was very cozy. It makes you feel as if you were back in time. Love that they keep the older look of the cottage. I would highly recommend it and definitely stay there again. Thank you for staying with us, Teresa! We look forward to hosting you again soon. Visited for the first time over the long weekend. The location was central and perfect. It was clean and well maintained. Awesome decor. Felt transported back in time to early Savannah. Absolutely loved it and we will be back. Thank you for choosing to stay Lucky for your first trip to Savannah! We're so happy to hear that you enjoyed Chatham Square Garden Apartment and eagerly await your return! Great location. Within walking distance to everything. The apartment had nice furniture. Big comfortable bed and a great size bathroom. Private parking space with access to the courtyard. We will definitely rent this place when we visit Savannah again. Thank you for staying with us, Devon! We look forward to your return. Our trip to Savannah was fantastic! We were there to celebrate 15 years of marriage. The apartment was perfect for us, comfortable and cutely decorated. Location was great, right on Chatham Square Garden and a short walk to Forsyth park and about 10 minutes up to the river. The only caveat was that being a basement unit, we did hear a bit of noise from upstairs. That's to be expected in an older home. All in all a great trip! We'd love to return! Thank you for choosing to stay with Lucky Savannah for your 15th wedding anniversary, Abby! We're so happy to hear that the apartment was perfect for your getaway. The apartment is very spacious with a terrific location. You can easily walk all over the Historic District from this location. Everything was as advertised. Whats not to like , if you like to walk this is as good as it gets , close to everything & like being in your own home . The folks at Lucky Savannah were just a click away if you needed anything (cannot imagine what you would need). Would recommend to anyone . Great location from which to visit a beautiful historic city. Owner was very attentive and helpful. Property was as described. Sampled everything from live musical theatre to cemetery and late night ghost tours, golf and the best of restaurant foods and beverages of choice. Absolutely great location and perfect apartment space for the my wife and I. Close to Forsyth Park for our morning walk and being in the Historic District is the best way to experience Savannah. 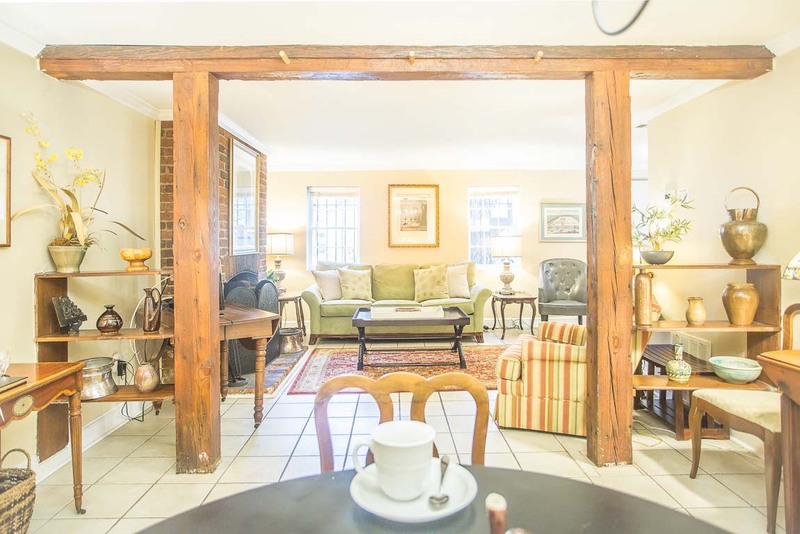 This is our second stay at the Chatham Square Garden Apartment and we love the location. Walking distance to everything in the city and yet in a very quiet setting. The apartment is very clean and has everything we need to feel at home. This was the best place for us to stay and truly feel a part of Savannah. You can't go wrong with this apartment-just a fabulous place to stay. This unit was impeccable! Very nicely decorated and clean. We would highly recommend staying here. Fun trip! Very well maintained rental. A few issues with keys and key codes, but management took care of the problem immediately. My wife & I are hoping to book the same location in December. Loved the phone App that was supplied a few days before check-in! Found it useful. Thank you Lucky Savannah for your hospitality. It was just perfect for us! We spent a week in Savannah for my grandson's high school graduation. The location was perfect. We could walk to Convention Center, local restaurants, Forsyeth Park, & my son's house. We enjoyed having a comfortable place to return to inthe evenings. This apartment was perfect for our first trip to Savannah. It is very clean and quiet. It felt like our home away from home for the week, and it is a very easy walk to all the sites that Savannah has to offer. Lucky Savannah was also a great company to work with. They made the booking, check-in, and check-out process a breeze. Thanks for a great stay! The entire rental process was a breeze. I loved the keypad on the doors. It made everything so easy. The apartment was clean and comfortable. It was a good size for two people. Even though it was a bit below ground level, it was still bright inside. The steps were a bit awkward and made getting in the front door and out the back gate somewhat difficult. The courtyard was gorgeous. It would have been nice to have a TV in the bedroom be we survived without it. The square was very nice and it's just a few blocks from Forsyth Park which was awesome. This sweet little place was perfect for the 3 of us. It was very nicely decorated and clean. We had everything we needed. My husband's only complains was that this is a basement apt and we had to ask the folk's above us to quiet down at 11p. Great time, great place in Savannah! This is the second time that we have stayed at Chatham Square Garden Apartment, and we loved it every bit as much the second time. 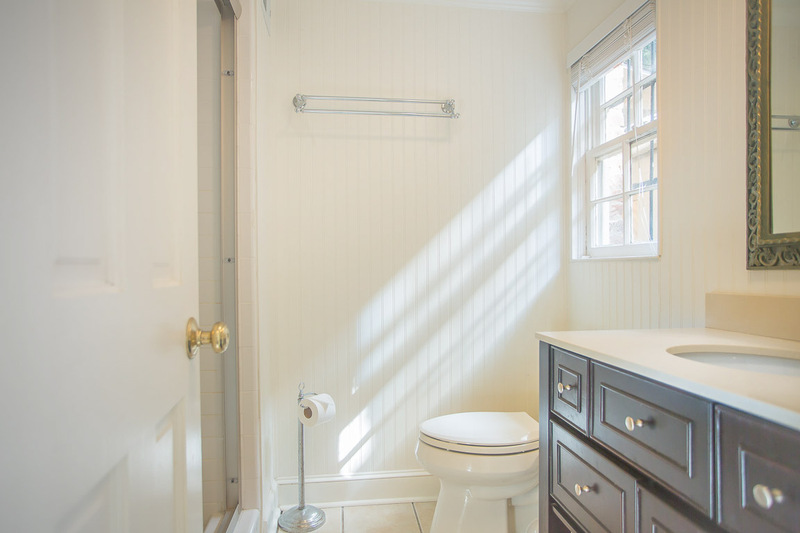 The location is both beautiful and convenient, with Chatham Square literally out the front door, and W/Dryer in the apartment, private parking, well supplied kitchen, and comfortable bed. Early morning walks to River Street (before the temps get hot about 10:00) were a highlight as the city is waking up and square after square breaks up the walk. If you like nature, take a 20 minute drive to the Savannah National Wildlife Refuge in SC across the bridge - wonderful drive through the marshes off Rt 70, with wild alligators and beautiful open scenery. The apartment was clean, all ready, good WiFi, and the people at Lucky Savannah very easy to work with. We'll come again! Wonderful location, great apartment. Need drapes in bedroom though. And some people may want a bathtub (only a shower). But the hosts were fantastic. Off-street parking was a real plus in this area too. Just a wonderful stay. Chatham Square Garden Apartment is a very nice and cozy place. It was our first trip to Savannah and our overall stay was wonderful. The staff was very helpful, and maintain good communication with us since day one of reservation. The apartment was very roomy and have everything that we needed during our stay. I like the private parking out back, and the garden was very well kept and quiet. Having a grill was nice, which allows us to cook out a couple of times while enjoying on a couple glasses of wine. We stay there for five days, and only a couple of issues with the apartment. I called the staff and right away they resolved the problem. They were very professional and couteous, and did I mentioned helpful? I would definitely stay with Lucky Savannah and the Chatham Square again. Thank you for the nice experience, my family was happy and they had a great time. At the end, that is what matters most. Thanks again for sharing your wonderful place with us. We had a great five-day stay in Savannah at Chatham Square Garden Apartment. The location was great. The unloading and loading from the front door was easy. The parking in the rear was convenient. The apartment was clean and in great shape including te bedroom, bathroom and kitchen. The two items that shoud have been provided by the manager/owner were a box of tissues and two ice cube trays. Otherwise, perfect! Great apartment for the 3 of us. Location was great for the price. Can't find a hotel in the area for the rate you pay for this place! Beautifully decorated and clean. Had everything we needed. Courtyard was nice but you need bug spray for the mosquitoes!! Only negative is if someone is renting the house above. We could hear every step they took. It wasn't terrible because you typically only sleep and get ready in the place because you're so busy out exploring the city. We would stay here again for sure. Parking space is a HUGE plus! 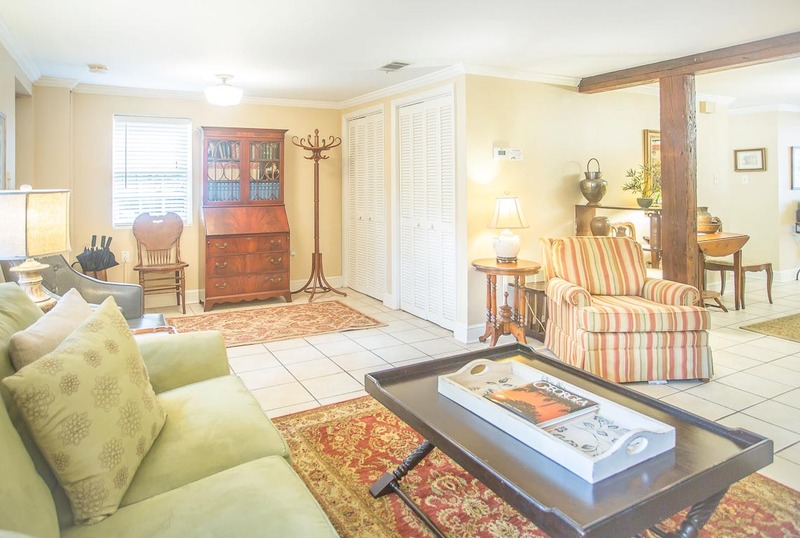 This was a last minute rental from Lucky Savannah Vacations. They are great to work with, and that was the best aspect of this rental. The apartment itself was very nice -- clean and well furnished with a comfortable bed. This is a ground level unit which is actually below grade. That wasn't clear in the photos, but it worked out fine for us, but for some, the steps down into the unit might be awkward.